It’s not called the ‘wineland’ for nothing. 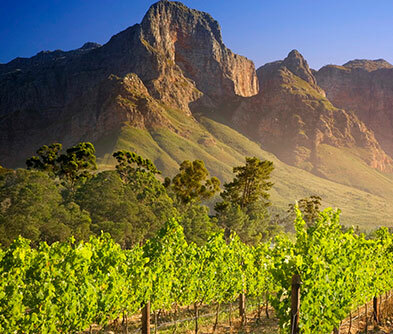 South Africa’s second oldest town Stellenbosch is the hub of glorious wine trails. 45 minutes away from bustling Cape Town, the three main towns are Stellenbosch, Franschhoek and Paarl. Blessed by Nature with different terroirs, the area has award winning commercial estates, dutch style farmsteads and family owned wineries that put out everything from the classic Chenins Blancs, robust Pinotages, elegant Shirazs, complex Bordeaux blends and the South African Riesling. Choosing a trail is frankly the most difficult decision to make. 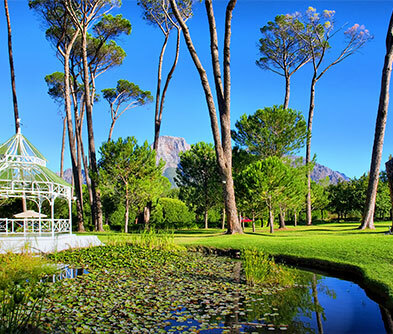 Most wineries offer cellar tours, wine pairings, gourment lunches and al fresco meals against the backdrop of the Jonkershoek, Drakenstein, and Simonsberg mountains. 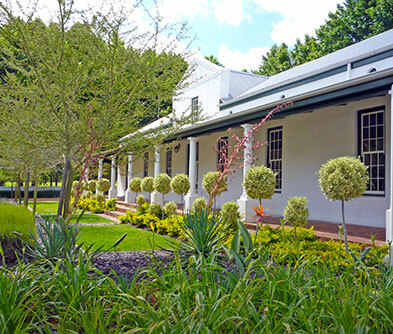 Some of the well known estates are Neethlingshof, Delheim, Spier, La Motte, Boschendal, Chamonix and Delair. For an unforgettable tour, call the wineries ahead and meet the wine makers themselves. Passionate and colourful, many are transforming the South African wine scene. Franschhoek (the French quarter) is justly called the ‘Gourmet capital’ of the country. Fine dining is all around, with chefs conjuring up delectable Afrikaner, Malay and fusion cuisine. The town also hosts delicious sounding wine, olive oil and cheese festivals. Brandy and Olive Oil are also prized products here. Do find time for an exclusive brandy/chocolate tasting session! Picking your accommodation is just as tough. 16th century thatched cottages, homestays, B&Bs, hotels with the ubiquitous Braai, the list is exhaustive!